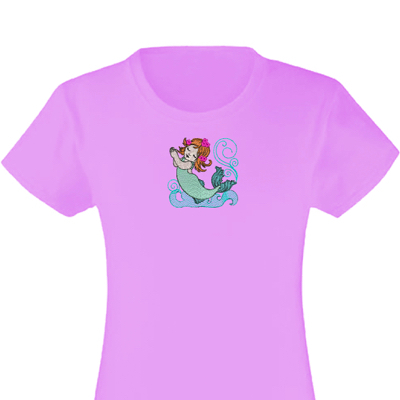 Precious little mermaid, a perfect choice any little girl ! 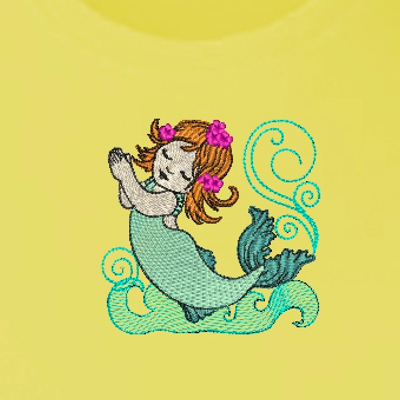 Stitch up some summer fun on sundresses, tops & shorts, swim and beach towels, totes and more! 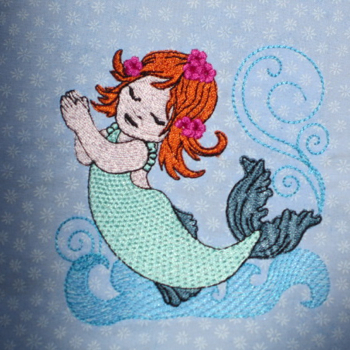 The above photo is an actual stitch out. 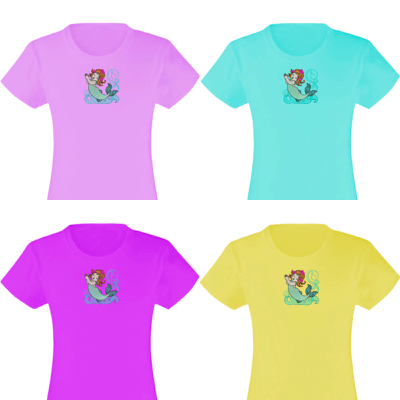 The apparel images below show how this design would look on a little girl's Tee.